Day two done already…and what a day! Thank you to all the new followers and everyone who has tweeted or retweeted. If you have anything you want to share or any suggestions for routes or races then please get in touch! Competition! Competition! Competition! Competition! Competition! Competition! Amazing package from SiS, thanks guys! 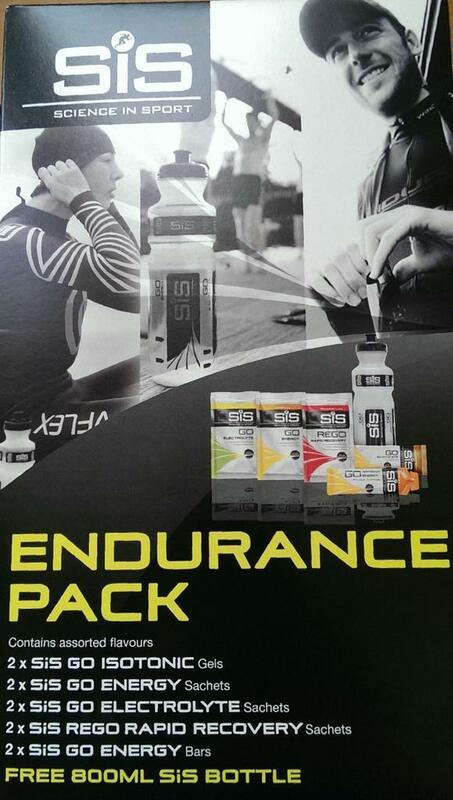 They included so much stuff that I’ve decided to give away the Endurance Box, containing enough energy gels, bars and drinks to get you through even the toughest challenge! 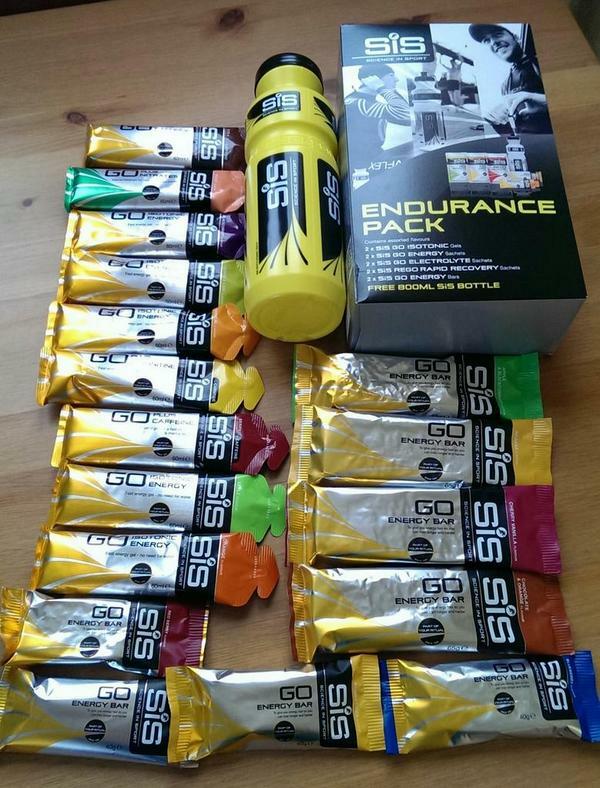 To be in with a chance of winning all you have to do is tweet me @Chelt52 with anything running related. Everyone who tweets this week will be entered in to the draw and a winner chosen on Sunday. Good luck! This could be yours, just tweet @Chelt52 with your running news. CLC Striders are based at Cheltenham Ladies College, Malvern Road, and run on Monday and Wednesday, 6.30pm. Monday is the social club run of 4 or 6 miles and Wednesday is speed work for improvers and competitive runners. 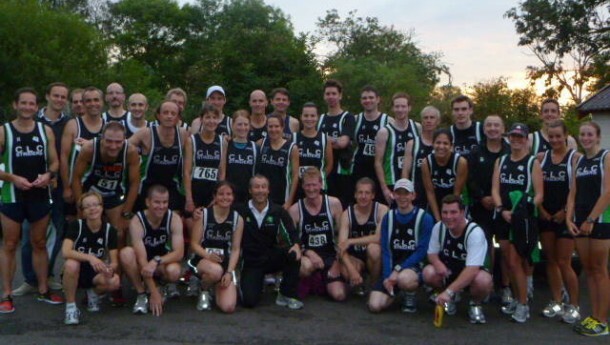 With a great record at local races Striders might be a club best suited to runners looking to improve their times. You can find more information on their website here. 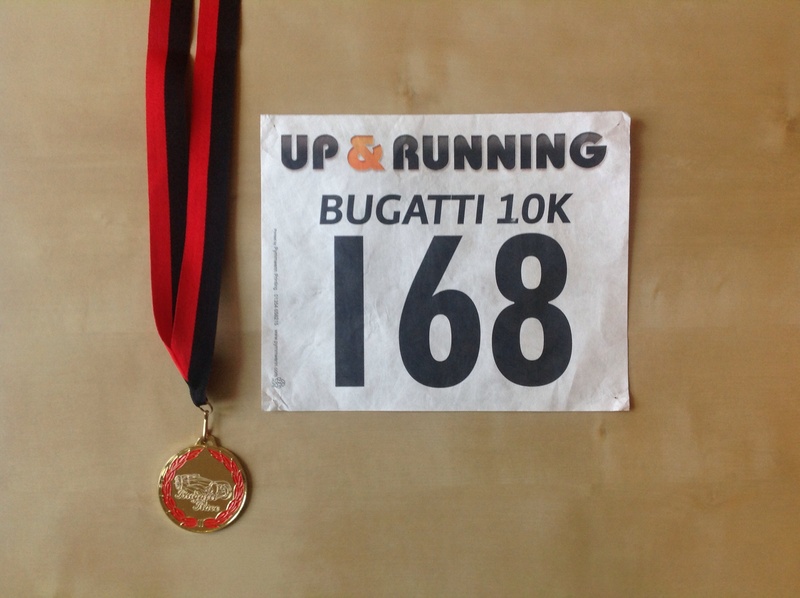 The Bugatti 10k is on Sunday 14th September, a week after the Cheltenham Half and a perfect excuse to stretch the legs again. Starting at Prescott, home of the famous motor club, it follows quiet country roads on an undualting loop. Chip timed with a medal for every finisher, the race also supports a local charity, Winston’s Wish. You can get more information here. 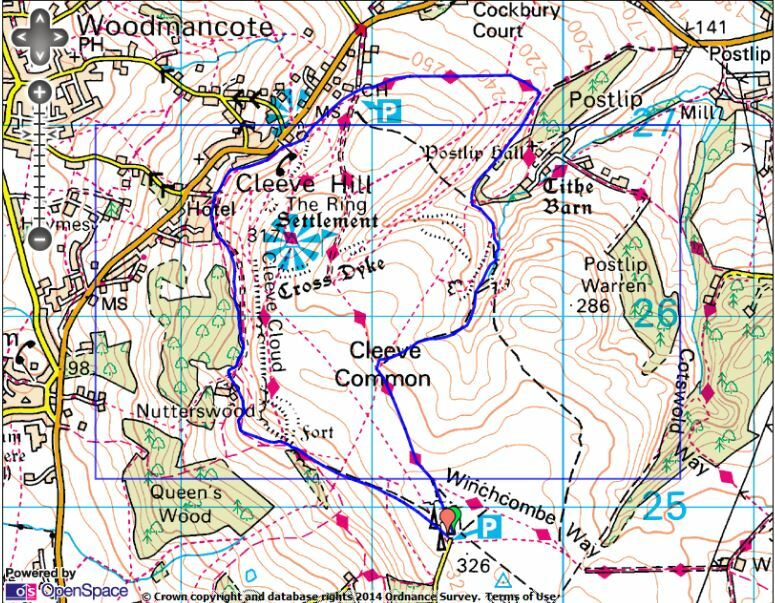 Today’s route is one of my favourites, Cleeve Hill. Starting at the iconic pylons car park head north west across the common to the head of the valley. Descend to the washpool near Postlip, the spring you pass and stream you’re following is the source of the River Isbourne. 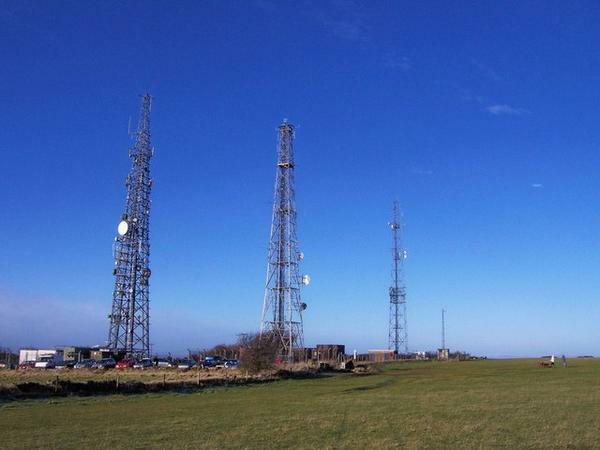 Finally head left uphill and back across the common to the pylons, an easy target to aim for. The route as described is 4.6 miles, but there are endless opportunities to extend the route and explore the hill, and I’m happy to offer some advice if you want to know a few options. 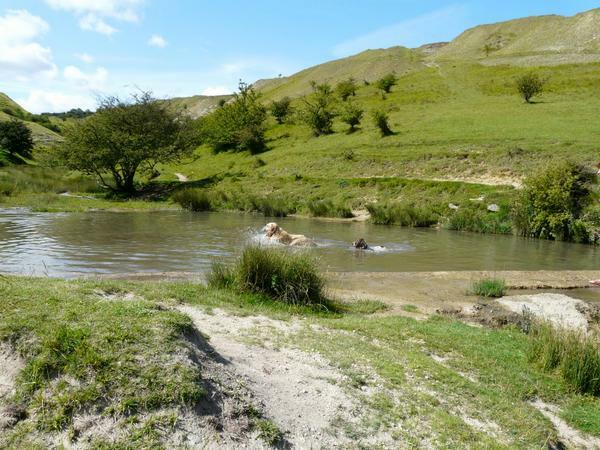 This entry was posted in Chelt52, Running, Training and tagged Bugatti 10k, Cheltenham, cheltenham half marathon, Cleeve, competition, fitness, giveaway, running, running club, Science in Sport, trail running, training. Bookmark the permalink.